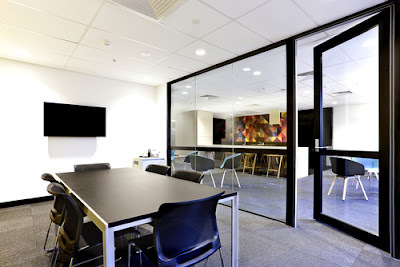 Quality is a factor that you need to consider while undertaking office carpet cleaning. You may decide to do it yourself but you cannot do it better than the professional carpet cleaners. A professional carpet cleaner will always have a unique touch that will keep your office looking good and stunning. These are the benefits of hiring a professional carpet cleaner rather than renting the equipment to do it yourself. Professional carpet cleaners invest heavily in the equipment. They know very well that quality of their work will greatly be determined by the quality of their equipment and this is why they will always have the best equipment there is on the market. They usually have some of the best and most improved cleaning equipment that guarantees top notch quality. As an office owner, you may never know that that each carpet cleaning requires a different type of cleaning equipment depending on the material or fabric that makes it. These professional will use only the suitable cleaning equipment for your carpet. Some of the cleanings that we do in the office lack the standard skills that can deliver quality. For instance, most of the office holders do not have any training on how to use some of the cleaning equipment like the vacuum cleaner. The result will be substandard work that does give the carpet a wow factor. But with professional carpet cleaners, you can expect nothing but the best. The workers are highly trained and experience to handle any cleaning work professionally and to deliver the highest degree of quality. They will work on your carpet and leave it looking as if it was new. Carpets stink especially if they are not cleaned regularly. At the same time, they can also stick if they are not well cleaned. This is what brings about odors and smells in the office that makes it almost inhabitable. It becomes even embarrassing to welcome guest in your office while in such a condition. But with professional carpet cleaners, you can get rid of such nasty smells coming from dirty carpets. They know the right detergents to be used in such cases where the carpet is stinking to improve the quality of air circulating the room. Most of the carpet cleaning done by office workers is unprofessional and in the process of cleaning; they end up damaging the carpet. It is important to note that each carpet is different and requires a different approach depending on the fabric used in making it. The unprofessional cleaner may never know this difference but professional carpet cleaners will. As professionals, they are trained to handle different carpets. They know how to handle every fabric and the best way of cleaning without damaging it. This will in long run help in improving the carpets lifespan and thus your investment will be safe. Carpet cleaning is all about changing the appearance of the room and making it look better ad appealing to anyone who comes in. Nothing can be worse that working into a dirty office with unkempt carpet. It really looks horrible and for an office, it can cost you as the owner a lot of business deals. But with professional carpet cleaning, this is one thing that will be eliminated entirely. With their professional services, they will ensure that they have improved the aesthetics of your office. They will make it look attractive, appealing and also comfortable to work in. Mold and mildew are common in carpets and they can destroy it within no time if they are not handled professionally. They come as a result of poor cleaning where he carpet is not dried properly and the moisture ends up causing mold and mildew. With professional carpet cleaners, these are some of the sensitive areas that they emphasize on. They will remove any mold or mildew on the carpet and ensure that the carpet is well cleaned and thoroughly dried to ensure that such invaders are not given room again. Use if industrial-strength suction power is a common method of dealing with molds and mildews successfully. Although carpets are known for their aesthetic value in an office, they can also be a health risk if they are not well kept. Carpet fibers are fertile grounds for the growth of fungus and bacteria that can cause severe infections. There are also allergens that can cause or trigger allergic reactions such as asthma. All these come as a result of poor cleaning ad unkempt carpets. Professional carpet cleaners will ensure that none of these happens. They have the skills and equipment to all of the factors that could bring about health problems. They will ensure that your office is safe and free of health hazards. Capet cleaning requires a lot of time that can be used in other productive activities. You will be required to move the furniture, apply the pre-treatment solution to your carpet, and vacuum all of the carpets and other activities that will definitely waste most of your precious time. It will be better if you can opt to hire some to do all this for you. The best you can do is hiring a professional carpet cleaning who will do a thorough job. There is no good feeling like working or relaxing in an office that is well cleaned without any odor or foul smell. It provides you with a comfort that is unique and exceptional. This is what you get by hiring professional carpet cleaners to work on your office carpets. Most of the smells in the office come as a result of dirt and bacteria on the carpet. These professional will leave your carpet smelling as if it was new thus giving your office the needed comfort. Any professional and reputable carpet cleaner will offer a 100% guarantee for his work. Most of the companies will give a period of two weeks to one month guarantee that includes free follow cleaning if something comes up. With such carpet cleaners, you are assured of value for your money on both the services and also the carpet. 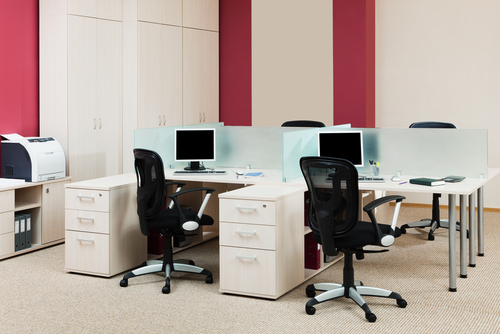 These are the main benefits of hiring a professional for your office carpet cleaning. In short, you will never get disappointed for hiring a professional to handle your office cleanliness.